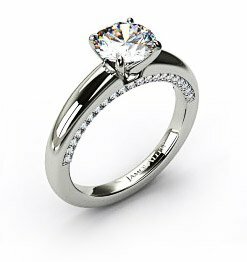 At James Allen, you can customize many of our hand-crafted wedding rings and engagement rings with color gemstones, color diamonds and/or alternative metal options to create a ring that is perfect for your unique personality. 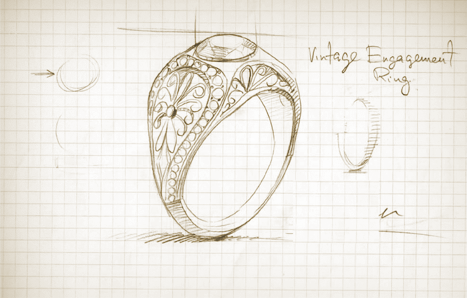 If you wish, we can create and design a one-of-a-kind ring to your specifications, using state-of-the-art technology that brings your vision to life. 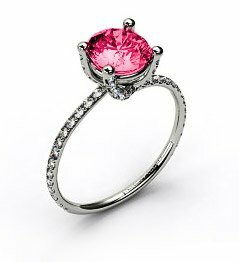 Many people believe that custom designing your own ring is expensive and time prohibitive, but that is simply not the case. 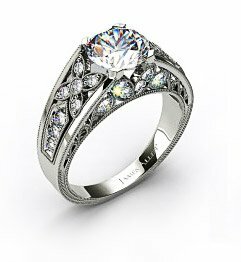 In many instances, the James Allen Design Team is able to assist you in selecting a diamond, transforming your design inspiration into a 3D rendering or Computer Aided Design (CAD), and delivering the finished piece to you within 30 days. To get started, all you need to do is select a center stone. Once you have selected one, you can contact us anytime and speak to one of our customer service representatives. They will help you narrow down all design requirements before presenting the request to our Design Team for an initial price quote. After your CAD has been approved, we will begin creating your unique piece using either hand-pulled wire or wax casting. 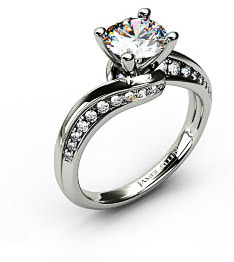 Your diamond or gemstone will then be set into the polished piece by our most experienced jewelers. Thank you for submitting your custom design request. A representative will contact you shortly.